Nowadays, with the convenience of online shopping, brick-and-mortar retailers and malls have to work harder to draw shoppers to stores. This year, many of them are turning to augmented reality for assistance. 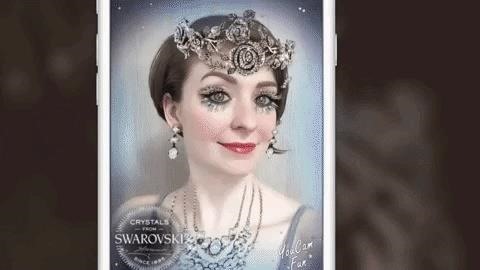 Mall mainstay Swarovski has partnered with AR developer Perfect Corp. to design three filters to showcase the retailer's crystal jewelry styles. The filters are accessible exclusively at the Crystals from Swarovski pop-up store in New York until Dec. 11, after which the effects will be available to all via the YouCam Makeup (iOS | Android) and YouCam Fun (iOS | Android) apps. "We are excited to recreate the sparkle of Swarovski crystals through virtual reality with YouCam's AR technology at our Holiday Pop Up Shop," said Alexander Wellhoefer, global SVP of Swarovski Professional North America, in a statement. "Through the YouCam app, consumers will have the opportunity to engage with jewelry and accessories embellished with crystals from Swarovski in an interactive way." 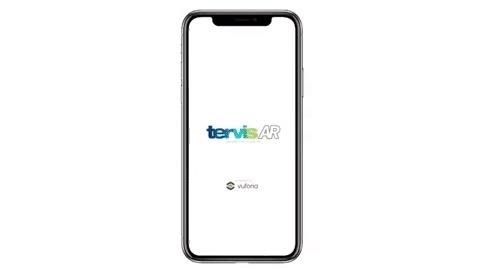 Meanwhile, drinkware maker Tervis, a fixture at stores like Bed Bath & Beyond and Bass Pro Shops, has released its own holiday-themed Tervis AR app for iOS and Android. Using Vuforia's image recognition platform, the apps generate an animated gingerbread man and a beer-guzzling Christmas tree on Tervis holiday tumblers. You can experience it yourself by scanning images of the tumblers from the Tervis website. 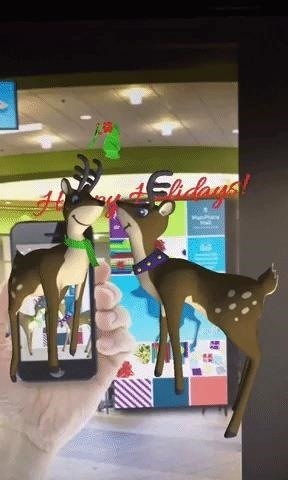 The 2017 holiday season has also inspired some US malls to employ AR technology to draw customers to stores. Centennial Real Estate, owner of eight malls in North America, recently launched the Centennial AR app for iOS and Android. 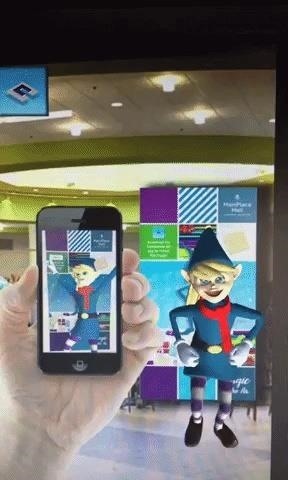 Using the app, shoppers can point their smartphones at posters within Centennial malls to reveal 3D animations of reindeer and a dancing elf. You can also try the effect yourself by scanning the app screenshots from the App Store. "Our team is constantly evaluating opportunities that support not only our shoppers but also our retailers and business partners," said Steven Levin, the CEO of Centennial Real Estate, in a company statement. "Developing programs such as this new app allows Centennial to remain at the forefront of our industry, all while offering our customers an enhanced in-center experience." Not to be outdone, Simon Malls, the operator of more than 230 malls and outlets in the US, Europe, and Asia, plans to release an AR game that customers can play at mall locations. Through the Simon Family app for iOS or Android, children (and playful adults) will be challenged to help Santa prepare for Christmas Eve in AR. For their troubles, players will earn a keepsake, which they'll receive at the mall's guest services counter. Similarly, over in Calgary, Canada, Buds of Buds, a collective of artists and makers, recently launched a series of interactive, holiday-themed murals on the window fronts of downtown businesses. 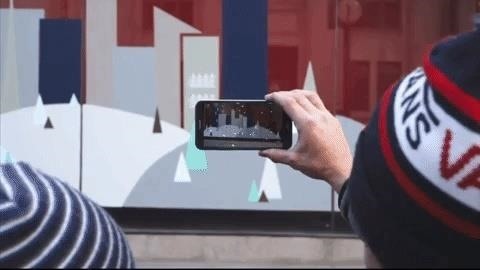 Using the Augle app (iOS | Android), visitors can access augmented reality content embedded in the murals, such as falling snow and animated snowmen. Titled "Northern Reflections," the exhibition is featured at six locations throughout downtown Calgary. These are just a few of the AR experiences being trotted out for the 2017 holiday season, but as Apple's ARKit and Google's ARCore continue to spread, we'll likely see even more of these kinds of seasonal interactive apps released, further accelerating the mainstreaming of AR beyond gaming and navigation apps. Cover image via Perfect Corp.